I've had small scale interest in solar power since the mid 1980s when I first put a few small panels on the top of my parent's home which were used to charge, amongst other things, the battery in my laptop computer. It wasn't until seven years ago, though, that we installed a large system on our home and the seventh anniversary of that system passed on April 5th. We have 16 panels each rated for 235 W output for a total of a 3760 W peak. In this part of the world we expect the equivalent of 925 hours of full sun each year which means that we would expect about 3478 kWh per year. In practice, over the last seven years our system produced 23601 kWh in total or an average of 3372 kWh per year. Several things contribute to the slightly lower output relative to the estimate: Our panels are mounted at the angle of the roof and not at whatever the ideal angle might be, they face South West rather than directly towards the South. 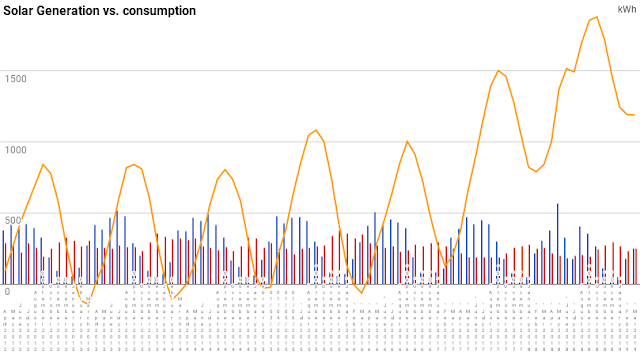 But perhaps the most damaging thing so far as the average is concerned is that our inverter failed last year and so we had no output at all for a couple of weeks during the sunnier than average month of July. The average for the first six years, not including the month when the inverter was not working, was 3410 kWh per year. Remarkably close to the estimate. The monetary value of the electricity which we've generated is about 20 cents per kWh for that which we use ourselves and about 7 kWh for the excess that we export to the grid. 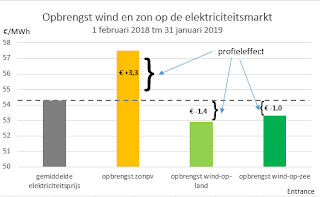 We have exported about 1200 kWh in total for a value of €84 and consumed about 22400 kWh ourselves for which we would otherwise have had to pay about €4500. In total, then, about €4600 has been returned from our original €8000 investment. At the same rate of return the system will have paid for itself after 12 years. If the inverter fails again and this time we have to replace it then that will of course increase the repayment time. The panels should last much longer than the repayment period. Something else which changed last year was that our electricity meter was replaced in December. The new meter doesn't give us any advantage over the old mechanical meter which span backwards just as enthusiastically as forwards for nearly seven years. The electricity costs us the same amount either way around. Of course it does offer an advantage to the electricity company because they no longer have to ask us to read the meter or visit to do so themselves. The one interesting thing for me about the new meter is that it counts differently and presents more information. There are separate counts of kWh for both peak and off peak times (though we pay the same for both) and for inbound and outbound electricity. So now we can see how much electricity we consume at night time and we can see how much leaves our home rather than being consumed here. Perhaps after a year of recording this information I'll have something which which I can create an interesting graph. Thus far I have just three and a half months of data, all of it from winter and spring. There's not much contrast to see. 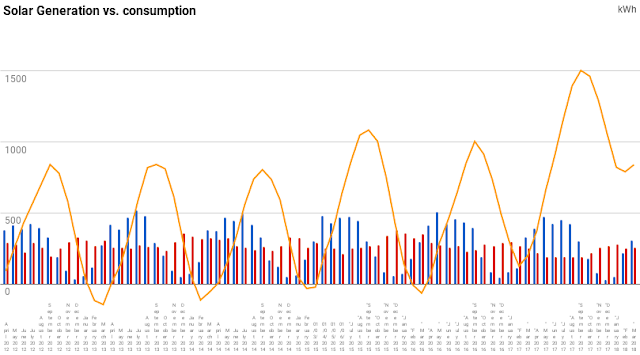 What has long been obvious of course, and is also visible on the data, is that our electricity is generated only in the daytime and then mostly on sunnier days. 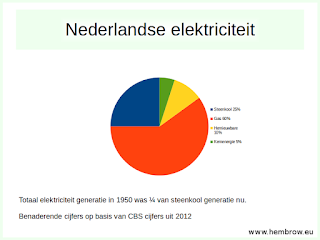 As it happens, solar electricity is valuable in the Netherlands because this daytime generation corresponds quite well with peak times of usage. So what we export is almost certainly of use to someone. 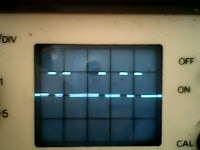 then send serial data as shown here. I'm late to have a smart meter installed but as it happens, I spent a few months a couple of years ago working on software for the prototype hardware of one of several competing manufacturers. I'm almost certain that the meter that I have now is not related to the manufacturer for whom I did the work, so unfortunately my code is not involved in reporting my own electricity usage. It was quite an interesting project for a while because it was like a return to the old days for me, when I worked on 8 bit processors and embedded software. This work was with what for me was a new processor, the RL78. An 8/16 bit design. The RL78 assembler is styled so that the source code looks a bit like that for the Z80, but the processor is really completely different. In total I had 32 kB of flash and 4 kB of RAM to work with. These days that doesn't sound like much at all but that means this device has about the same amount of memory as the guidance computers which took Apollo to the moon. But they have this in a finger nail sized package which consumes micro-watts, and the little RL78 is many times faster. Assen. They did a good job so deserve a link. 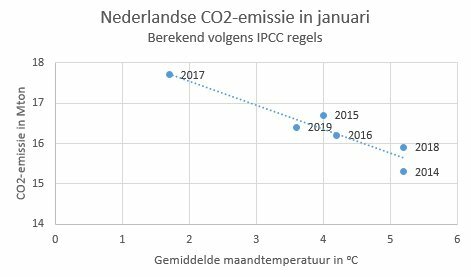 We knew we'd have to do something about the insulation of our home in Assen before we even moved in and every year we've made some change to improve the energy efficiency of our home. One of the oddities of 1970s Dutch homes is that while they had double glazing on the main rooms on the ground floor, it was quite common to have single glazing in places like the hall and all of the bedrooms upstairs. We fixed that problem eight years ago by installing HR++ double glazing to replace all the single glass and this was very effective. But we kept the same older windows downstairs. It took a while for us to get around to considering the downstairs windows because we were busy with insulating the floor, the roof, the walls, installing solar panels on the roof, our bicycle parts business, and generally getting on with life, but we've now begun. In fact, we did one of the smaller panes last year because the old double glazing had developed a leak and we took this as an opportunity to experiment with triple glazing. We made measurements and found that it was effective. When the outside temperature was -2 C and the inside temperature 17.5 C the temperature of the inside of a double glazed pane was measured as 9 C while the inside of the triple glazed window alongside it measured 14 C. Clearly we could stay warmer with less heating if we replaced more of the old double glazing downstairs in our home with triple glazing. Thus far we've replaced the glass only on the front of our home. We're still not entirely sure what we'll do on the back of house, but there is less than half the area of double glazing in the living room on the back compared with the front. The replacement coming into place. It took some lifting because it weighed 127 kg. Just fitted, not made neat and tidy yet. A tidy job completed. We now have to wait a couple of days before we can clean the glass because the sealant has to dry first. We hope this will reduce our gas consumption and our heating bill. 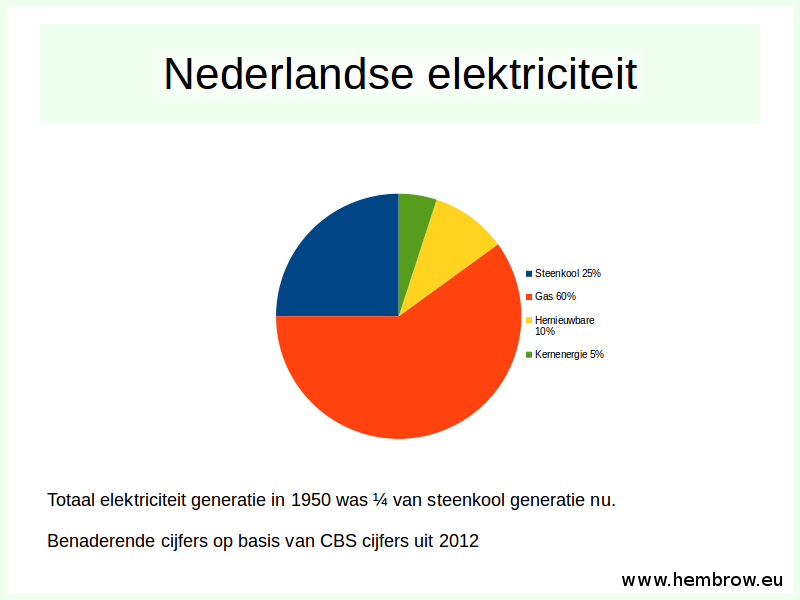 We already have a very low energy bill because we generate more electricity than we use. The gas bill, which covers cooking and water heating as well as heating, is also low and has reduced each year. Dutch bills are increasing quite sharply this year due to increased tax on gas, but our estimate for next year is the same as this year, and the energy company doesn't know that we've taken measures which hopefully will reduce our usage further. It's becoming more and more obvious to us that we can't continue to increase our energy usage but must decrease it. We must decrease our burning of fossil fuels. There is little time left to do this. The IPCC report from the 8th of October told us that emissions need to be reduced to zero in 12 years time. Who is doing enough to make that happen ? Because of our concerns we are not only continuing to make our home more efficient but have also got rid of our car and stopped our business of offering holidays and study tours. Encouraging people to make international journeys to cycle is just not of this time. We must all stop behaving as if we can do whatever we like without consequences. Our children and our grandchildren, not to mention millions of people in poorer countries, are being made to pay for our own selfishness. Yesterday afternoon. Four identical houses, ours is on the left. We're winning the race to keep ice on the roof from melting. Luckily it was somewhat warmer today. January Update: Is it effective ? We will really only know how effective the triple glazing is after the bills come in and we see if we've used less heating. However it's -4 C in the garden today, the sun is still on the side of the house and the inside of the double glazing at the back measure 8.7 C while the inside of the triple glazing at the front measure 14.5 C. Obviously we are loosing a lot more heat through the double glazed panel than through the single glazed panel. Ice crystals visible on the outside of a triple glazed window when the temperature is -9 C outside. Photographed from the warmth inside. There's also a very visible difference in that ice crystals form on the outside the triple glazed panel, proving the temperature there stays below freezing while we have a more liveable temperature inside the house. This never happens with our double glazed windows. In fact the closest thing that I have seen to this in the past was when we had ice all over the inside of the upstairs windows of our house before we replaced the single glazed panels there with double glazing. That wasn't comfortable at all ! Update February 2019 - it's working ! I keep a spreadsheet of our monthly gas and electric consumption. We used less gas in January 2019 than any other January on record, even the somewhat colder 2017. 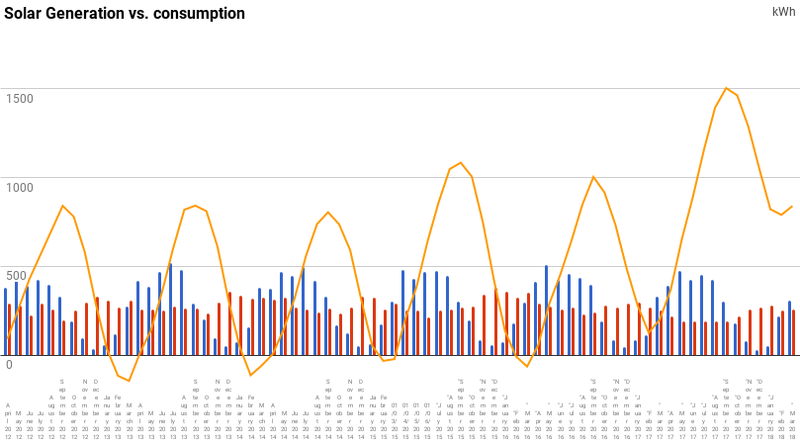 Our gas consumption in January 2019 was 15% lower than the same month in 2016 when the temperature was very similar. A drop in gas consumption of 15% represents a greater than 15% drop in use of energy for heating because we also use gas for water heating and for cooking. I only have one month of data so far so have to be cautious, but it appears that the replacement of the front windows with triple glazed panels has been effective. At this rate the windows will have paid for themselves in terms of nothing but a reduced heating bill within ten years even if there is no increase in the price of gas. That's a good rate of return and if it's possible I will replace the rear downstairs windows with triple glazing later this year. Brexit: If the UK now remains in the EU how will it compensate EU citizens for their losses ? Last Sunday the Brexit Withdrawal Agreement was signed by both the UK and the EU27 states. 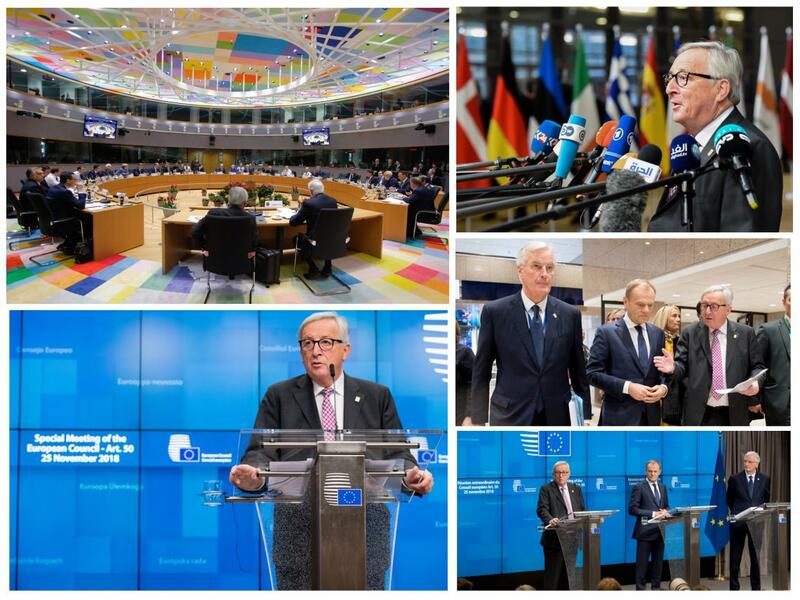 It has been made clear by many EU leaders that there is precisely one withdrawal agreement and they have no intention of negotiating another in the four months left until the UK leaves the EU. That's it. There will be no more negotiation. This has been made clear. The choice that the UK now faces is between the deal which Theresa May has already signed or no deal at all. The first of those will damage the British economy and to a lesser extent also EU economies, but it will go some way to protect the rights of British citizens in the EU and EU citizens in the UK. "No deal" will be catastrophic. The EU has offered a remarkably generous withdrawal agreement. 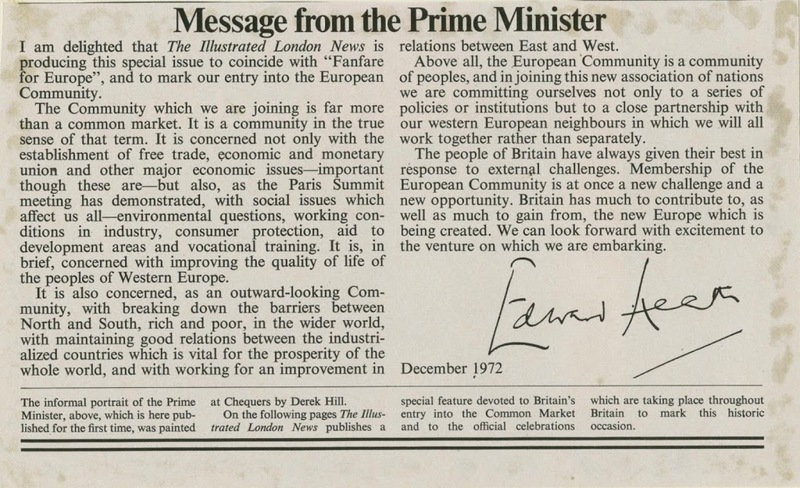 which was signed by the Prime Minister only to result in other British politicians and some elements of the press discussing it if they've been blackmailed. Whatever happened to the concept of diplomacy ? 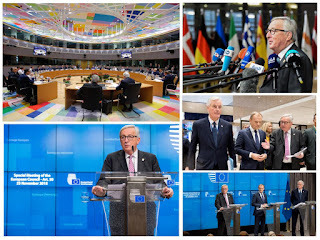 How do you intend to remain friends with the other EU nations and their citizens ? Re-open negotiations to get some other agreement from the EU though it's been made very clear that this will not happen. Another referendum (a "people's vote"), which of course the British can do if they want but they should not expect that an internal vote will have influence outside their country. A general election to try to bring in Jeremy Corbyn as a Labour Prime Minister, even though he has absolutely failed to oppose the government during his time as leader of the opposition. Unilaterally reverse brexit and remain in the EU with the existing preferential terms of membership. An arrangement similar to that which Norway has now. No deal as deliberate policy while continuing to lie about the likely negative consequences for the country. damage they caused to other nations or even to their own. What all of these options have in common is that the other 27 nations who are remaining in the EU are apparently supposed to blindly accept whatever it is that the British people decide to choose for themselves, whenever they choose it for themselves. There's even a court case going on at the moment to decide whether or not the the UK can unilaterally reverse brexit and force that reversal on all the other member states. This is of course very unlikely to be allowed because it would open the EU to a type of extortion by member states. At this point many British people, even many of those who see themselves as pro-EU "remainers" are still talking as if the UK is exceptional, can decide on any path for itself without considering the other nations, and can control the entire bloc even at a point in time where it's on the edge of leaving that bloc (or maybe they think they're not leaving as they haven't bothered to make up their minds as yet). Quite apart from the absurdity of the idea that one nation which is leaving a bloc should expect to be able to change things for the 27 who are remaining, it seems to me that we have gone rather a long way past the time when British people ought to have worked out that the UK does not exist in a vacuum and that brexit has not happened in a vacuum either. The effects of the brexit vote have not been limited to Britain or to British citizens. Much damage has been caused over the last two and a half years to citizens of the other 27 nations. The chaos from the UK has affected and will further affect everyone in the EU. Millions of people have lost billions of euros as a result of the UK's brexit vote and the subsequent uncertainty and chaos. Some people have lost their homes, their jobs, their businesses, a few even their lives, and very many people who never had a choice in this at all have lived with a considerable amount of stress for the last two and a half years. Speaking for ourselves, our family was affected in a major way. We quickly realised that the only way we could ensure that we could remain living in our own homes, whatever the final outcome, would be by changing our nationality from British to Dutch. Not to have done this put us in harm's way if a brexit outcome which didn't protect our rights was the result. It was a difficult decision to make: Dual citizenship was not possible in our case so the votes of other British people resulted in us losing our right to live in our country of birth. 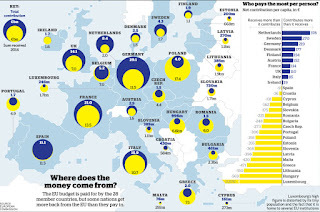 The process of changing citizenship cost us several thousand euros and, in addition, a brexit related decline in our largely UK facing business (only UK sales dropped, not those to other markets) cost us tens of thousands of euros in lost sales. In addition we have experienced monumental stress due to having to take exams, provide evidence of citizenship (or lack of it), send important, expensive and sometimes irreplaceable documents through the post to provide evidence in the UK and the Netherlands. 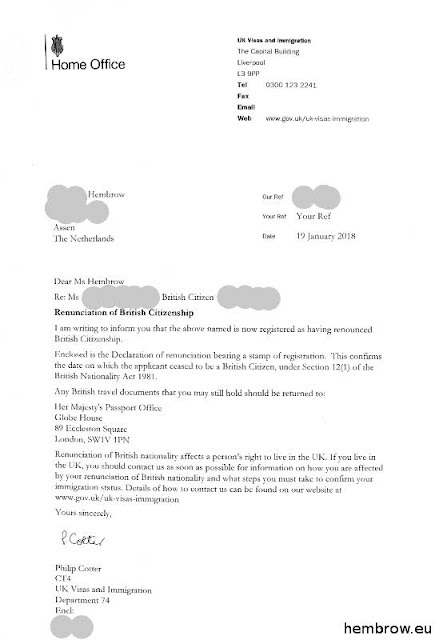 This stress lasted a long time: We started this process in June 2016 immediately after the referendum result but it took until just two weeks ago before we received our final letters from the Dutch government to say that our case was closed, we could definitely remain Dutch, and that we were therefore safe. But this has not been an easy time for our family. We, like millions of others, have been damaged by brexit. I can't see how you can expect to turn back the clock without there being any negative effect. The UK has benefited enormously from the EU, it has benefited at the expense of other nations due to having been allowed special conditions which other nations did not benefit from. You have now caused great problems for the other nations and it's time for a bit of reflection and humility. 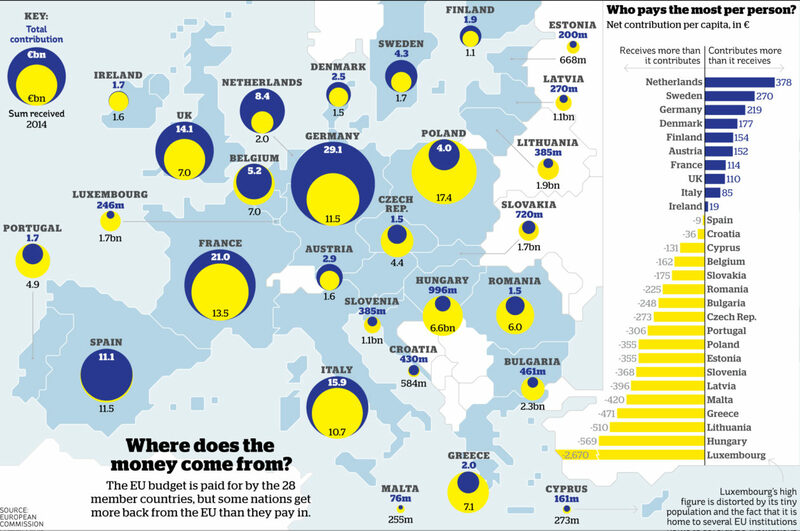 What plan does the UK have to reimburse for the losses that your country's actions have caused for EU27 citizens ? The ECJ has ruled that the UK can unilaterally revoke article 50 and retain all the existing terms of membership "following a democratic process" which demonstrates that this is what the people want. We will now watch and see whether the UK takes advantage of this remarkably generous offer. Note that it does not resolve anything for the millions of people who are still billions of euros down due to the brexit vote. It does not resolve anything for those who have lost homes, jobs or their nationality due to brexit. Brexit was never an issue which only affected the UK and UK citizens. When will the UK offer compensation for the damage which the country has done to nationals of other countries ? There's also the question of where this leaves the UK. If the UK withdraws the article 50 notice before it has taken on the reasons why British people voted to leave in the 2016 referendum then there is every chance that a Farage2 and a UKIP2 will continue to cause chaos and that there will continue to be people who cause chaos and who push for a brexit. If the issues are not resolved in the UK and the UK remains in the EU then that is bad news for every EU nation. Just 50 days are left before the UK leave the EU on Brexit day, March 29th. The British government still has not decided what it actually wants. It has proven to be incapable even of governing itself. Anyway, I'm not linking to them. The last thing that either the EU or the UK need is for this group of nitwits to get more attention than they already have. Our Power One Uno with the fatal "Error! Int. Error E031"
A couple of days ago our ABB/Power One Aurora Uno inverter stopped working. It starts up, clicks relays and display "Error! Int.Error E031". Nothing more happens. It's six years old, so just out of the five year manufacturer's guarantee period. Not a good sign. Searching on the internet suggests that this is a very common fault and people claim it's a faulty relay. However, no-one seemed to be offering advice on how to fit the fault. I didn't want to replace the entire inverter. A repair is preferred because the whole reason to have a solar energy system is to conserve resources. Throwing out a huge device like this because of a minor fault goes completely against our reasoning for installing the product in the first place. ABB offered absolutely no help at all. Their reply to me was useless even to the extent of not bothering to get my name right: their swiftly cut and pasted reply to say "we won't help at all" was addressed to someone called "Emmanuel". The company which installed the inverter in the first place did offer a reasonable price for a replacement (from a different manufacturer and with a ten year guarantee) but that would cost us €1000 and of course it would still mean throwing out a mostly good existing unit. It turns out that the failed part is nothing more than a €5 relay on one of the printed circuit boards within the inverter. 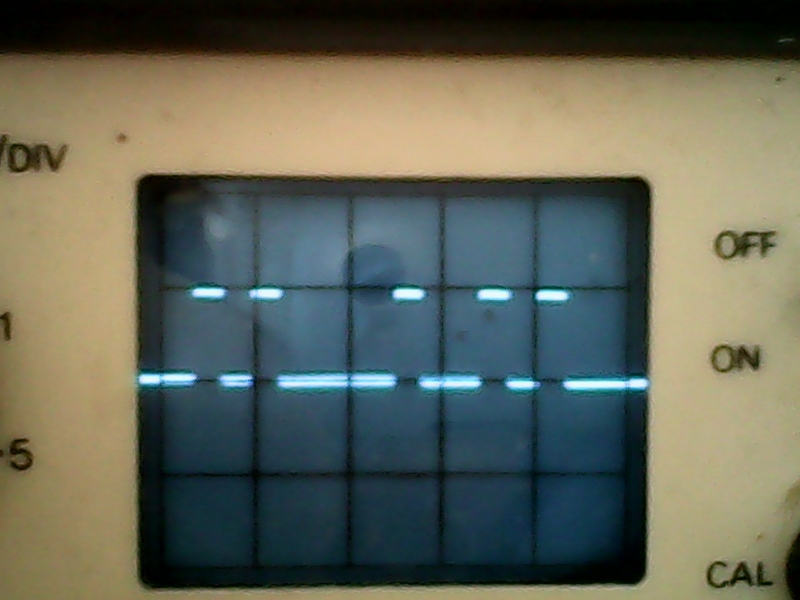 Discolouration about the relay shows that it's failed. The other side of the PCB has a crater in it from the pin on the relay melting/burning away. Hopefully the repair will be good for another five years. If I find myself buying a replacement inverter in a few years time, it won't be bought from ABB as their customer service is absolutely useless. When we woke on June 24th 2016, the world had changed. Before that date the news was mostly about someone else somewhere else. From that date onward the news has no longer been an abstract thing but something which regularly discusses, or fails to discuss, what is happening to our rights. Why ? Because we are amongst the more than a million British people who took advantage of the Freedom of Movement offered by EU membership to live and work in a different European country to that in which we were born. 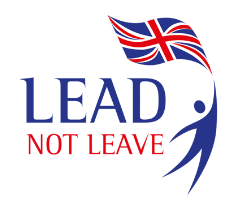 The right to live in the home which we bought in our new country and run our own business from our new location was taken from us by the millions of British people who voted for brexit based on false promises by liars. 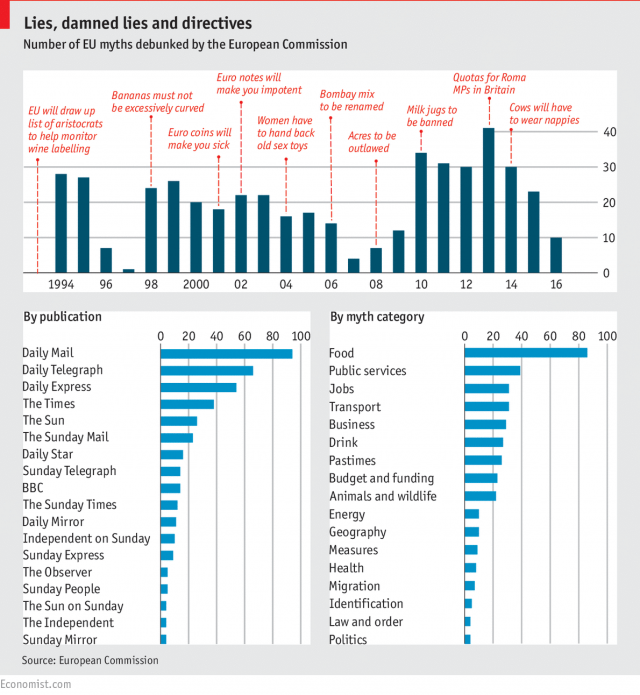 Those voters included our own relatives who preferred to believe false sources about the EU above what we who lived on the continent of Europe could tell them. Stories were believed above referenced facts. the British economy. Remember "Auf Wiedersehn Pet" ? We've been living with brexit for more than two years now. Why more than two years when the referendum was only 20 months ago ? 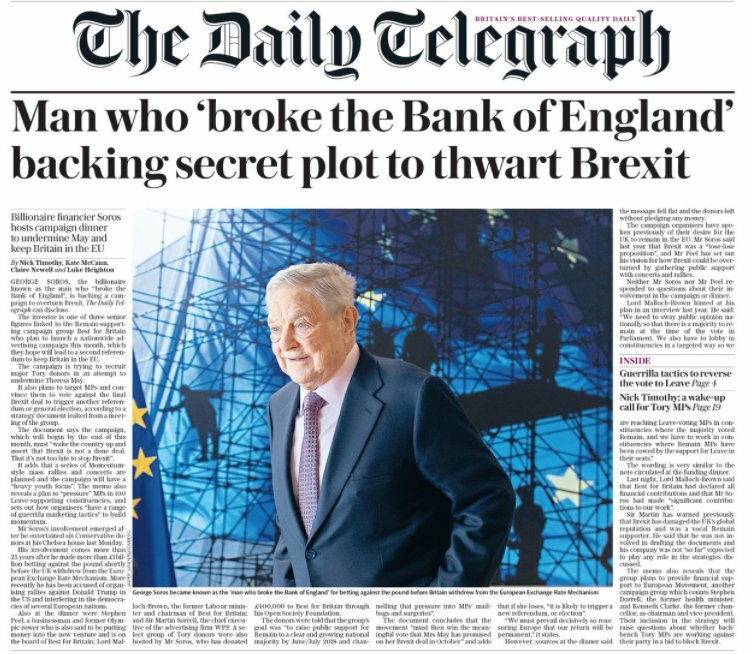 Because we had already spent months trying to explain to relatives living in the UK that much of what they had read about the EU on Facebook, or in newspapers, or in news coverage of politicians or had heard from friends who were informed by those same sources was not actually true at all. We explained that voting for brexit would cause us hardship. Our words made no difference. We know know that this is probably in part due to the very same Russian interference as is being prosecuted effectively in the US, but unfortunately it is still completely ignored by British authorities. 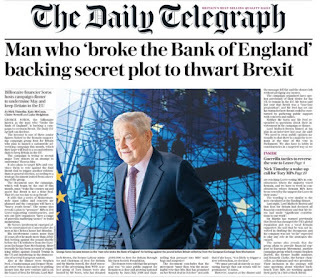 Of course in Britain there is an additional problem of a press which has been making up stories for years. 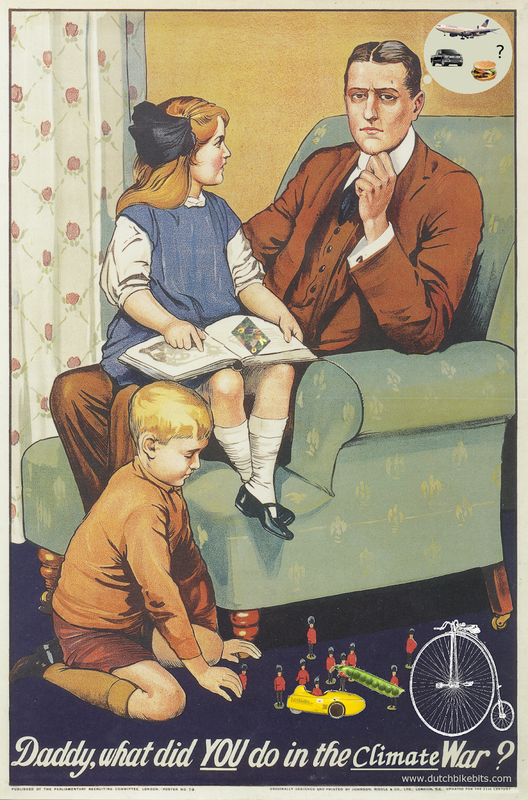 The facts were always out there for people to read if they wanted to, but too many people preferred to ignore them. So where are we now ? The content of that interview was remarkably familiar as the EU has held the same entirely logical position since before the Referendum vote. We have heard again and again such simple and obvious things as that you can't expect to force the policy of any organisation which you are not a part of and that you can't expect to retain benefits of membership while not being a member. British brexit supporting politicians continue to try to divide the EU and to seek to do these things, a position which is often referred to as wanting to "have their cake and eat it." that there was an intention to also give people extra rights. It is notable that both Verhofstadt and the EU's chief negotiator Michel Barnier consistently bring up such concerns as the rights of citizens (both EU citizens in the UK and UK citizens in the EU) and the problem of the border in Ireland and the predicament of Gilbrater. British politicians talk infrequently about these issues, most discussion of citizens' rights being about how to take those rights away. Though we are citizens of the country which is leaving the EU it is not our government which is fighting for us but EU representatives who are working to preserve our rights. 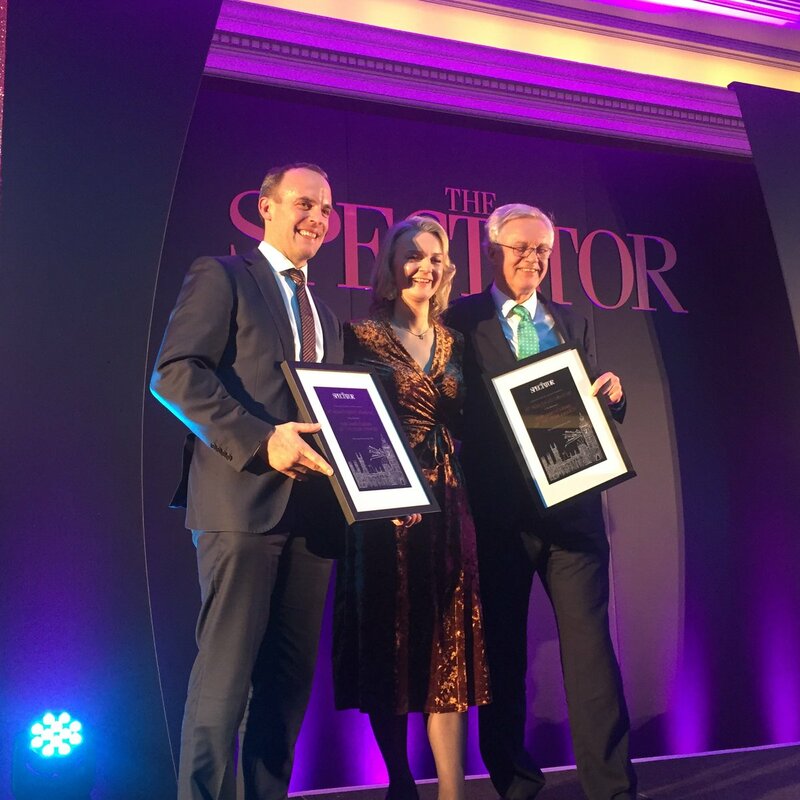 Over the last week we've heard the voices of three of the "big hitters" in the UK under an overall title of "the road to brexit". Boris Johnson, Theresa May and yesterday David Davis. 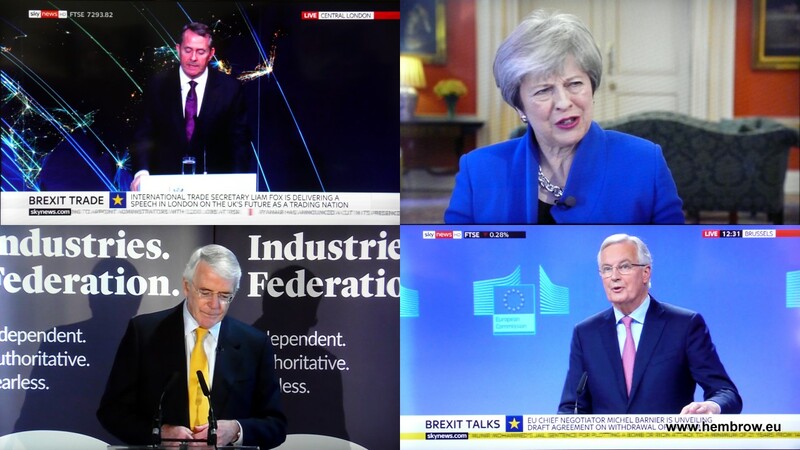 None of them has said anything memorable or which gives a clearer picture of what the UK wants from brexit. They have instead spoken in a mix of generalities and sound-bites. Each speech has included a new catch phrase. Nothing concrete has been suggested. No sensible suggestions have been made about citizens' rights or about the issue of the Irish border. Today it was David Davis' turn to speak. It was trailed in British newspapers, as you see to the right. He obviously thought that the Mad Max reference was funny, but no-one laughed. Davis' catchphrase was "a race to the top". Davis made vague suggestions that the EU and UK could continue to trade on an equal basis not because they'd stick to the same laws and standards, but because they would "respect" each other's standards while actually having different laws. The British position remains that of wanting to have their cake and eat it. Davis did not make any mention of either citizens' rights or the Irish border. Davis' claim that he would ensure that standards would remain high was almost immediately undermined by his colleagues. continue their war against the EU through the brexit process. Yesterday we heard that brexit supporting politicians have begun to talk down the Good Friday Agreement which has maintained peace in Ireland for the last 20 years. Why are they talking this important agreement down ? I think it's quite obvious: the Good Friday Agreement requires an open border between Northern Ireland and Ireland, and because Ireland is staying in the EU this means an open border between the UK and the EU. Note also that the GFA incorporated the European Convention of Human Rights into the law of Northern Ireland and that many of the politicians who support brexit have opposed the ECHR for many years. There has also been a letter from extremists written to the Prime Minister which is seen as a "ransom note" with its demands for a hard brexit or else. At the same time, the government has been suggesting to other EU members that the proposed two year transition period (to end at the end of 2019 to fit the end of an EU accounting period) should instead be "open ended", ending whenever it suits the UK, and that during this period the UK should be able to set policy (e.g. fishing quotas) for the rest of the EU to follow. Yet again they want to "have their cake and eat it." While all this is going on, the rest of the world can see the way the UK is heading and they are reacting. The Dutch are already training the hundreds of extra customs officials who will be required to staff the ports and airports after the expected "hard" brexit. i.e. it's now expected by many that the UK will not be able to agree either a transitional arrangement with the EU or a trade agreement after they leave the EU and the Netherlands will be prepared for this eventuality, even though the UK is not, with the head of the UK's maritime business association warning of the trouble ahead and begging the government to take notice, saying that they are "lost in politics." How is this affecting us ? Above you'll find links to just a small fraction of the many news articles from the last two years about issues which have a potential to disrupt our lives, and those of the other nearly five million EU citizens living in the UK and UK citizens living in the EU, which have resulted from brexit. We have had two years of this and the strain is extremely unpleasant. Like everything to do with the Home Office in the UK, this letter is expensive and it takes months to arrive. It costs 320 pounds per person to become non-British and it was not until a couple of weeks ago that our daughters could finally provide the required evidence of renunciation of British nationality to the Dutch government. 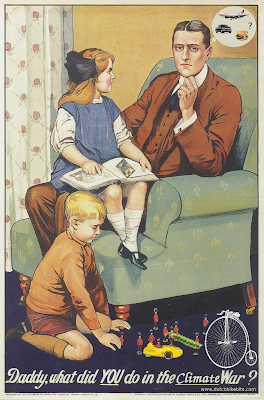 Our children are no longer British. They have lost their automatic right to live and work in the country in which they were born or even to go there to visit their relatives. Perhaps in the future a visa will be required to visit? No-one can be sure. Unfortunately, it is only our children who are already Dutch so our family's fortunes are split on nationality. For Judy and I the process has taken much longer. I first had to take exams to prove my ability in Dutch. The exams were especially difficult, but the process of booking appointments and waiting for results took almost a year. Judy could have applied on her own at the same time as our children but as it was cheaper to apply as a couple we decided to do that before realizing that this decision would cost a whole year of delay. We applied to become Dutch jointly in May last year but a decision on this can take a year and after nearly ten months we have yet to receive an answer from the Dutch government. We obviously hope for a positive outcome, but though we can't think of any good reason why this should happen it is also possible that we will be rejected. Until there is certainty on this we have nothing. In the case of rejection we will be left only with British nationality and have a right to live and work in the UK, but not to live here and run our Dutch business, while our children will have a right to live and work in the Netherlands and across the EU, but not in the UK. In the case of our being accepted we will be able to become Dutch and will then have to renounce our British nationality leaving us able to remain in the same country as our children, be able to live in our own home and run the business which gives us a living. 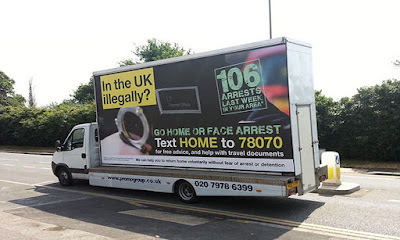 We won't necessarily be able to visit our relatives in the UK. Becoming Dutch is easily the preferable outcome of the two. Being able to visit relatives who are amongst those who voted to create this mess is less important to me than being able to stay right where we are with some certainty returning to our lives, and to be able to live in the same country as our own children. This tale of woe is not just our tale. Nearly five million people have a story to tell. Some haven't started to do anything yet so their tales lie in the future. Others have already had far worse experiences than we have. Here in the Netherlands we have found a procedure which is fixed and appears to work. No-one has been threatened, we have just had to wait a long time. That is stressful enough but the story is not the same for EU citizens in the UK where the government doesn't know what they want to happen, the Home Office can't keep up and random decisions seem to be made. EU citizens have had to change to bizarrely changing suggestions and people who have spent a lifetime contributing to the UK have repeatedly been told to leave. We've now had several more days of politicians talking about our rights... or not. The bottom two made sense. The top two want extra cherries on the cake which they wish to have as well as to eat. Britain's International Trade Secretary Liam Fox and Prime Minister Theresa May both made presentations about the UK having its cake and eating it. Theresa May introduced her new catch phrase "getting on with it". Neither of these two current members of the British government managed to find a single word which could offer any reassurance to British citizens like ourselves. They also didn't say anything which moves their position on from seeking to "have their cake and eat it" with regard to Europe. EU Chief Negotiator Michel Barnier and ex British PM John Major both spoke sense. Barnier simply put it as it is. This is the EU and the EU has rules which it must follow. 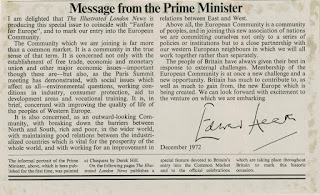 John Major spoke very much from the heart, clearly a man who is deeply concerned about the future of his own country. These wise words are being ignored. Britain continues its course towards falling out of the EU without an agreement. This will cost the country a great deal. Those of us who are British but who live in the EU have been abandoned by our own government, apparently because to do otherwise would mean that the British government would have to promise rights to EU citizens in the UK. For the EU and for us as well the clock is ticking. We started the process of trying to become Dutch immediately after the referendum in 2016 but because it took time to take exams and get the results before we could send in our applications for Dutch citizenship, only ten months have passed since our applications. It's actually precisely ten months today as we applied on the fifth of May last year. According to the letter which we were sent in reply to our application, it can take a maximum of twelve months for a decision to be made. We're waiting and hoping for good news.